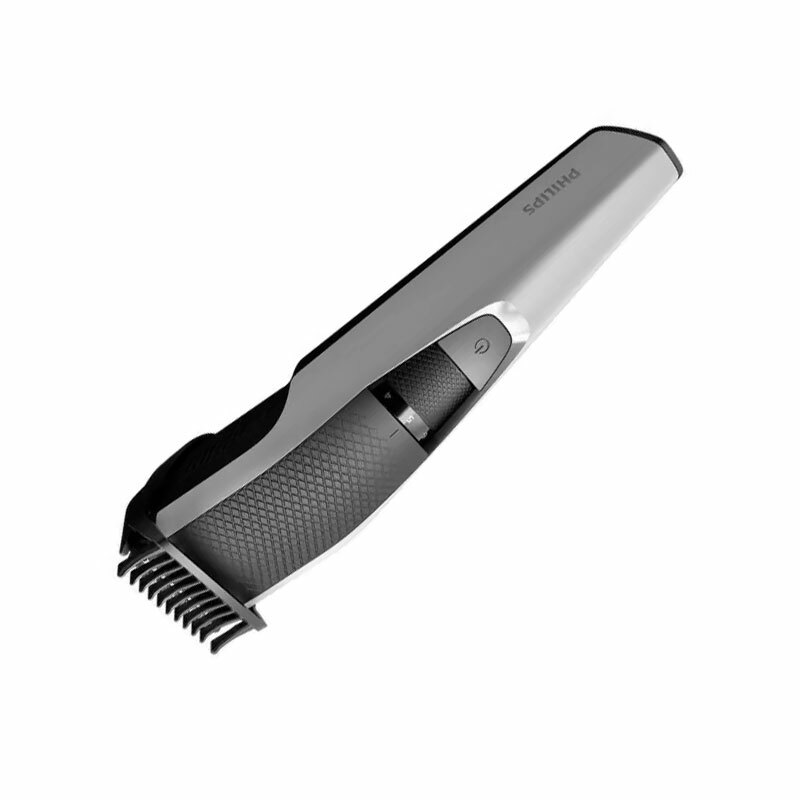 lifts and guides the hairs to the level of the blades for an even trim. one another, sharpening themselves as they trim so they stay extra sharp and effective as on day 1. 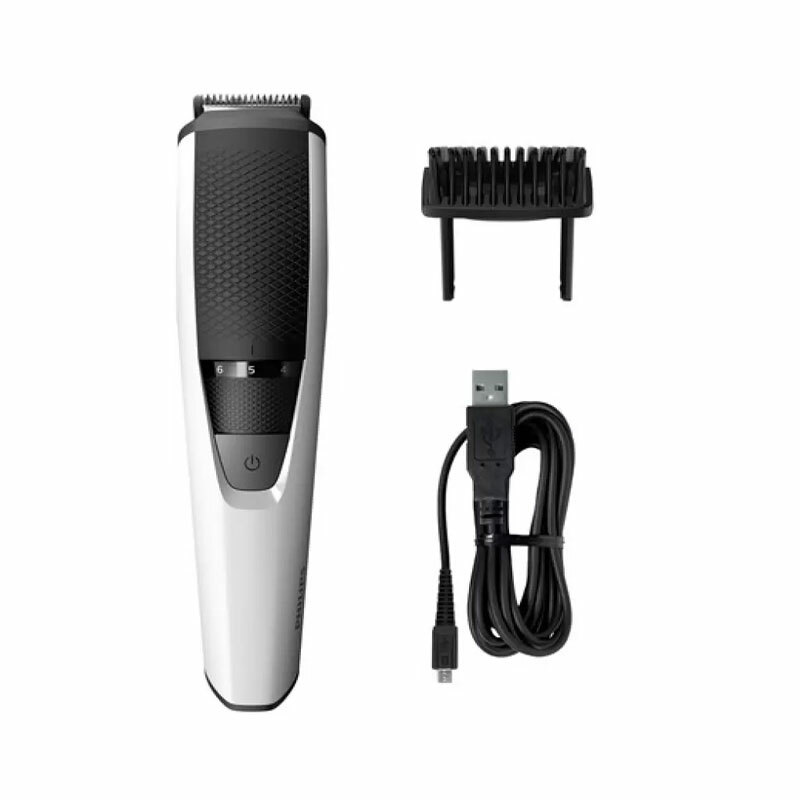 Charge your trimmer for 10 hours to get 45 minutes of cordless use. 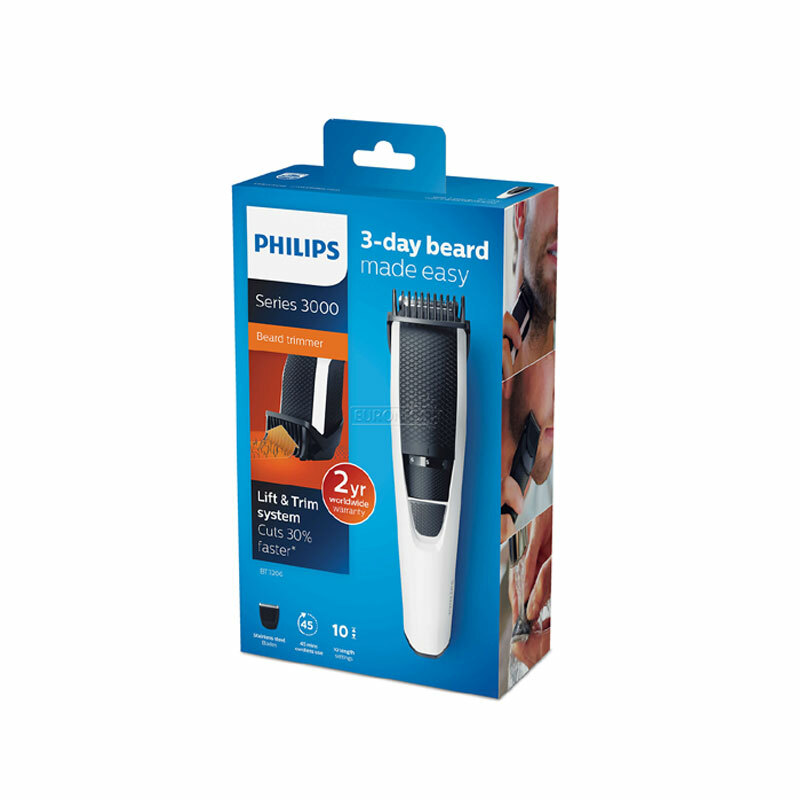 We back this Philips trimmer with a 2-year guarantee: our grooming products are built to last. You’ll never need to oil it, and it’s compatible with all worldwide voltages. 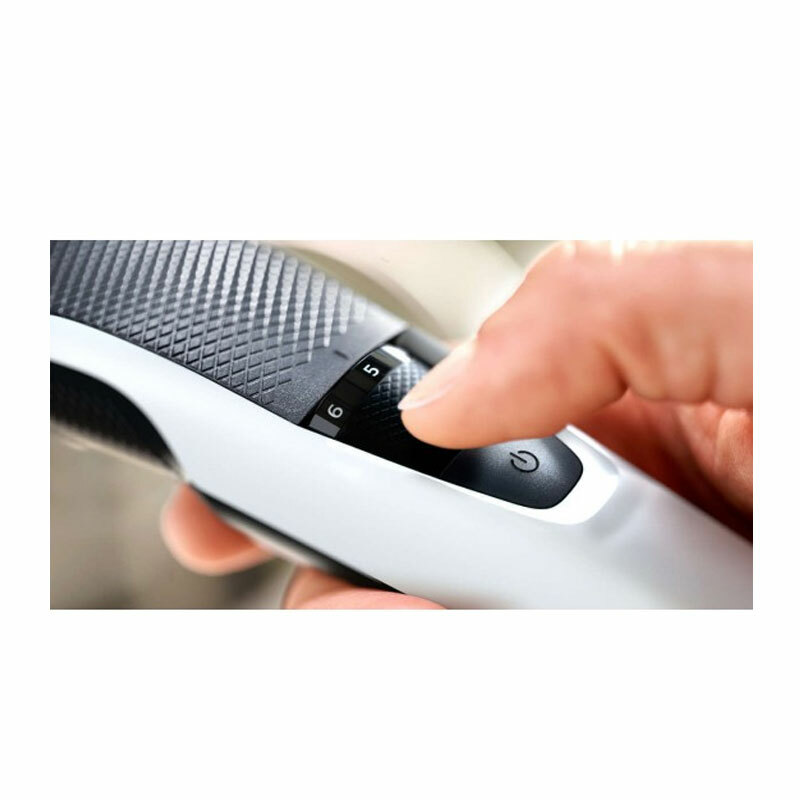 The battery charging indicator on the adaptor lets you know with a green light when your device is charging.